designed for life Archives | Ms Moem | Poems. Life. Etc. Or proof that you are enough. Your eyes, your fingers, your brain. You know those parts do what they’re meant to do. See your whole being as the same! Know there is strength inside you. 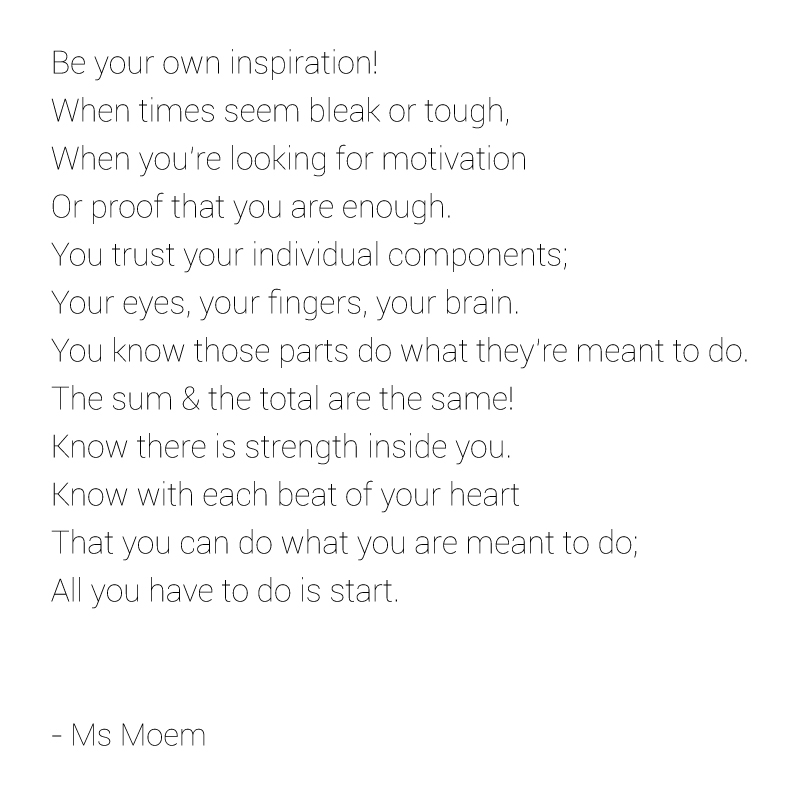 Designed For Life is a short poem written by Ms Moem.